On Sunday I helped Mormon Newsroom cover a story on a Worldwide Devotional held for Young Adults at the Conference Center on Temple Square in Salt Lake City, Utah. Speaking at the event were Dieter F. and Harriet Uchtdorf. Elder Uchtdorf is an apostle of the Church of Jesus Christ of Latter-day Saints. Both he and Sister Uchtdorf shared messages telling those in attendance that God has an active interest in their well being and challenged everyone trust in God and he "will make more of you than you can make our yourself." Here is a short video I worked on about the event. President Thomas S. Monson. Images courtesy Mormon Newsroom. 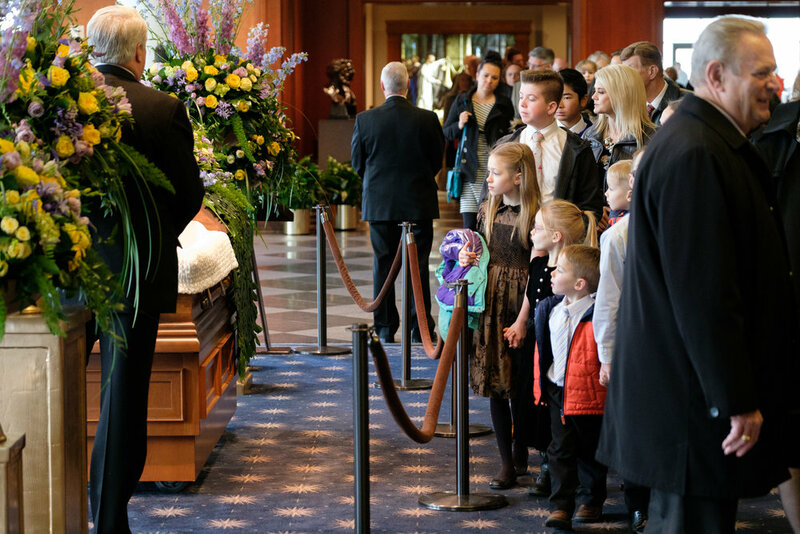 This past week I have been assisting Mormon Newsroom with media content related to the death of Thomas S. Monson, President of the Church of Jesus Christ of Latter-day Saints. President Monson served as a General Authority in the church for several decades and was loved by many individuals around the world. In the course of putting together several stories this week I enjoyed learning about the life of President Monson. One of the his quotes that I inspired me was "Never let a problem to be solved, become more important than a person to be loved." 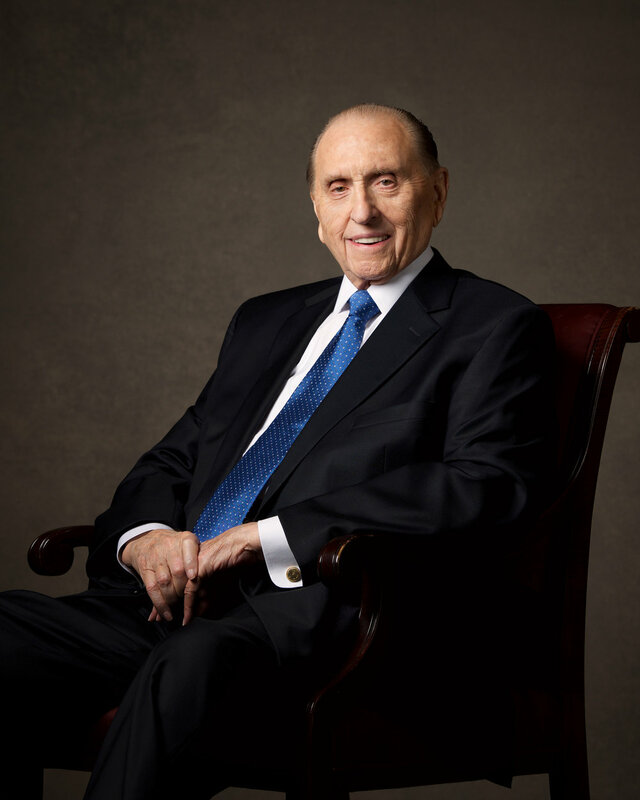 In the few instances where I was asked to film President Monson he preached that sermon by example. I remember several years ago when I covered the dedication of the Mormon temple in Phoenix, Arizona and President Monson took part in a cornerstone ceremony. 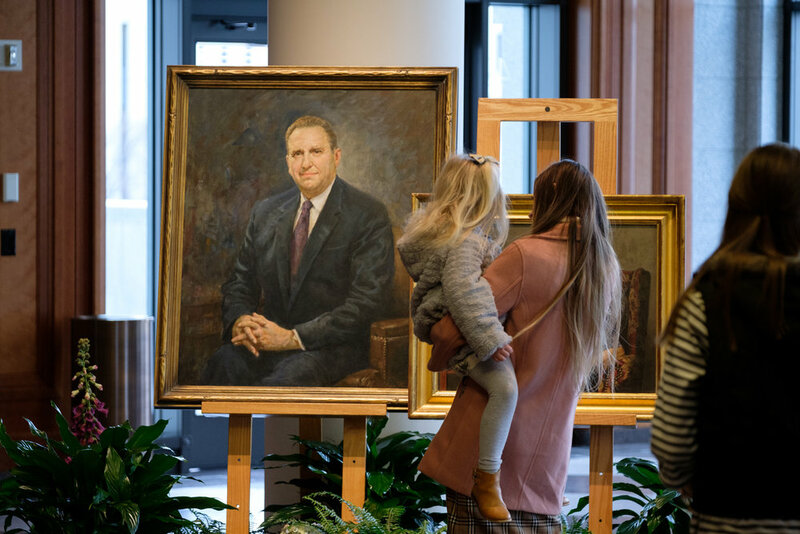 It took several extra minutes for the ceremony to begin because President Monson left his post on the podium and started introducing himself to all the little children in the audience. "What's your name?" he'd ask them. "I am Tommy." It was inspiring to see someone who was always concerned about the well being of everyone around him. Here are two stories we produced and a few photographs from the funeral services. "Hoping all your dreams happen this holiday season"
Last week I was able to create a Holiday E-Card for Weber State University. This year the University wanted to do a story that showed their mascot "Waldo" baking sugar cookies. 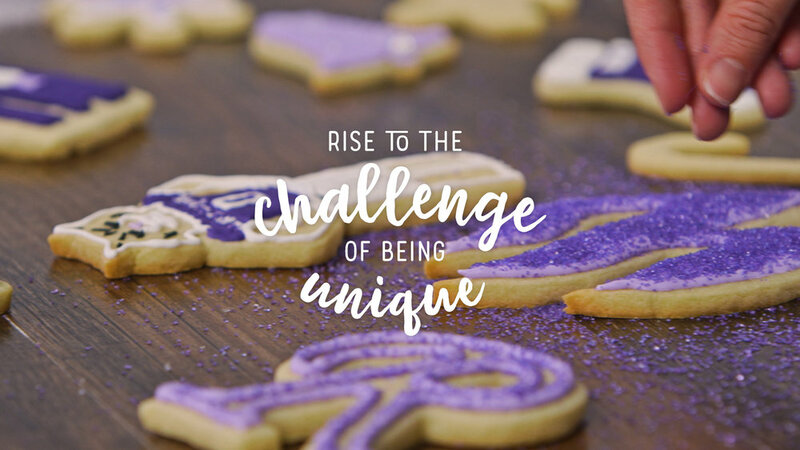 For the shoot, we used Weber State University themed cookies created by my sister, Keisha Goeckeritz. The cookies were shaped as Weber State University logos, wildcats and campus architecture. They were incredible.... and edible! I was able to take a few home to enjoy later. 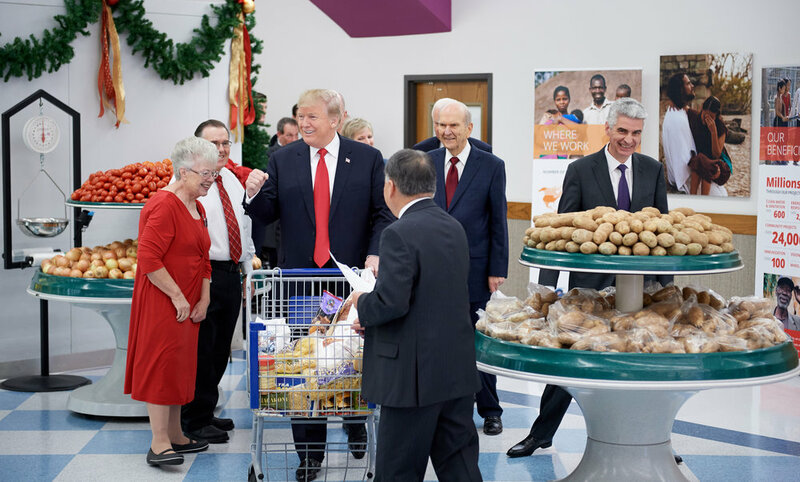 This week I was asked by Mormon Newsroom to capture a visit by President Trump to Welfare Square in Salt Lake City, Utah where he met with leaders of the Church of Jesus Christ of Latter-day Saints. This visit extends a tradition of US Presidents meeting with Church leadership as they travel through Utah. Welfare Square is one of dozens of locations across the world that provide food at not cost to needy families and individuals. Volunteers and some employees at these facilities produce bakery, dairy, pasta and canned goods. One of the unexpected highlights of the day was meeting the White House videographer. The White House has two full time videographers that follow the President daily. This work dates back to the Reagan Administration and I've research and used the footage in the past for documentary projects. It was interesting to talk to the videographer and learn about the process they have in place to capture, log and eventually deliver the footage of the President to his future Presidential Library. Here is the video news release I put together with Mormon Newsroom and a few photos from the visit. Photo courtesy Intellectual Reserve Inc.
Ronald Reagan visited a welfare facility in Ogden, Utah when he travelled to Utah in the 1980's. Photo courtesy Deseret News. This past weekend I had the opportunity to travel back to California to do another story on the recent fires. Once again we visited the destroyed Coffey Park neighborhood in Santa Rosa, then drove a couple hours north to the small community of Loma Rica, where homes had also burned. We were in California to accompany Elder Ronald A. Rasband and Sister Joy D. Jones, both from the Church of Jesus Christ of Latter-day Saints. It was inspiring to watch these two individuals minister to those effected by the recent fires. They have very caring hearts as you will see in this video. You can read the print story at mormonnewsroom.org. Tim and Jenny Sjoden had their home destroyed in the fire. 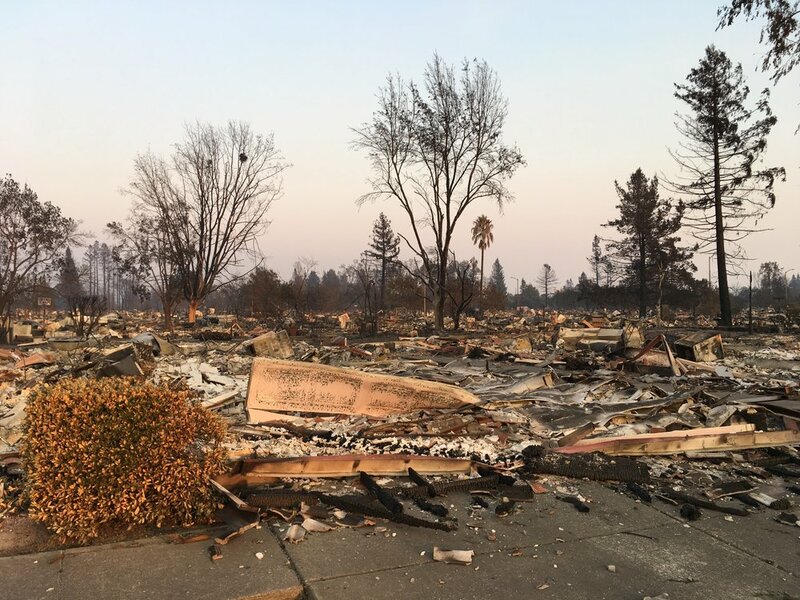 After EPA workers removed propane tanks and other dangerous items from their property they were able to return and "sift" through ashes in search of surviving objects. I still found it humbling to walk through this neighborhood a second time. One person on our team said he felt a "reverence" there. Last weekend I was able to travel with Mormon Newsroom to cover stories in Santa Rosa and Napa, California. These two areas have recently been hit by devastating fires that destroyed thousands of homes and structures. We visited two local Mormon congregations, one of which had opened their church up to locals who had last or been evacuated from their homes. I was inspired to see church members there form their own ministry and open up their hearts and church to people they didn't know. Throughout the day I watched volunteers bring in bedding, toiletries and home cooked meals for people staying at the church. Here are two stories we produced on the trip and a few photos. 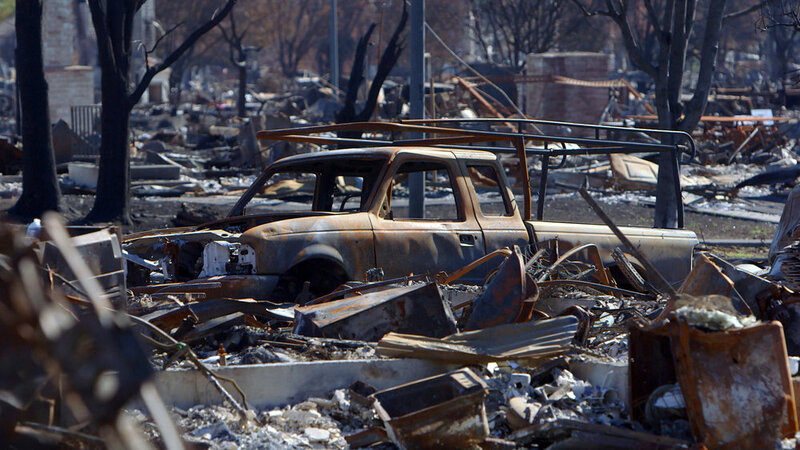 Most of the areas destroyed by the fires were still closed to the public and home owners. One afternoon we were given media access to visit a Santa Rosa neighborhood. It was unbelievable to walk through an area where hundreds of homes had been completely destroyed. All that remained were burnt out vehicles, large metal appliances and fireplace shafts that resembled cemetery headstones. Last Thursday I had a last minute shoot come up that took me to Puerto Rico and Saint Thomas in the U.S. Virgin Islands. 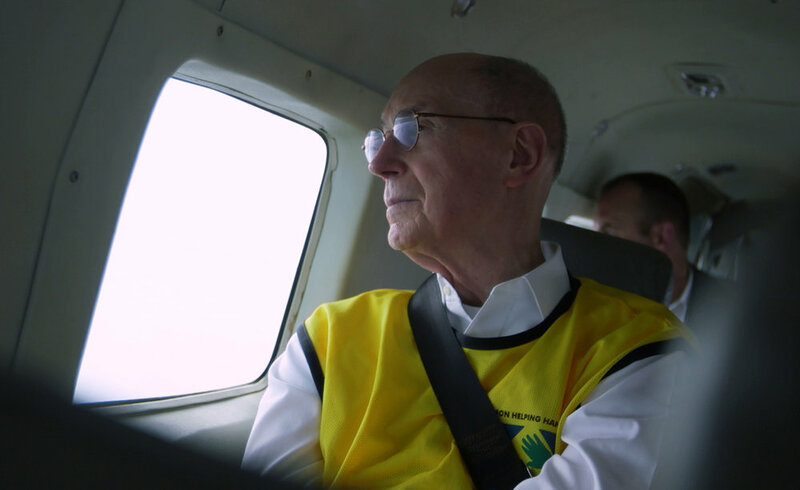 I was asked by Mormon Newsroom to gather footage and produce a short news story on a visit President Henry B. Eyring, of the First Presidency of the Church of Jesus Christ of Latter-day Saints, was making to members of church affected by Hurricane Irma. Flights to and from the Caribbean are super scarce so after a red-eye flight with two connections I finally made it to San Juan at 11:30 on Friday morning, then flew on a chartered Cessna flight with President Eyring and others to Saint Thomas. The island was hammered from the hurricane. Trees and power lines were down, buildings destroyed and debris were everywhere. President Eyring was taken to a local church where he gave a short devotional. It was inspiring to watch his care for the people there. As I was getting ready to begin filming he commented to me, "Now remember, we are not here for the news, we are here to help the people here." I appreciated that, because it made me feel like a part of the relief team. 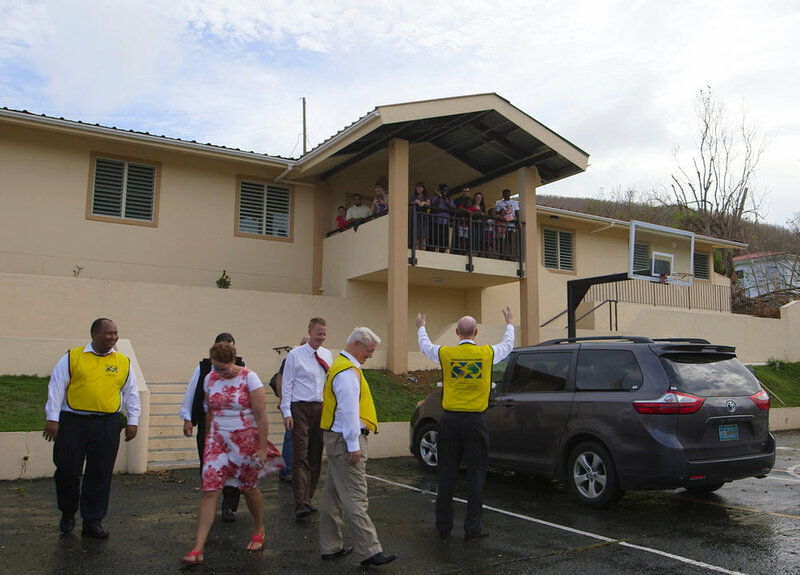 After only a couple hours in St. Thomas we got back on our plane and returned to San Juan, Puerto Rico, where President Eyring gave another devotional that evening. Here is a short video that was created for the press release put out by Mormon Newsroom. You can read the entire press release at mormonnewsroom.org. Since 2004, I've had the opportunity each Fall to produce a short documentary for the Cathedral of the Madeleine's Bishop's Dinner. The films have been used at the annual event to raise funds for the Cathedral's upkeep and maintenance. 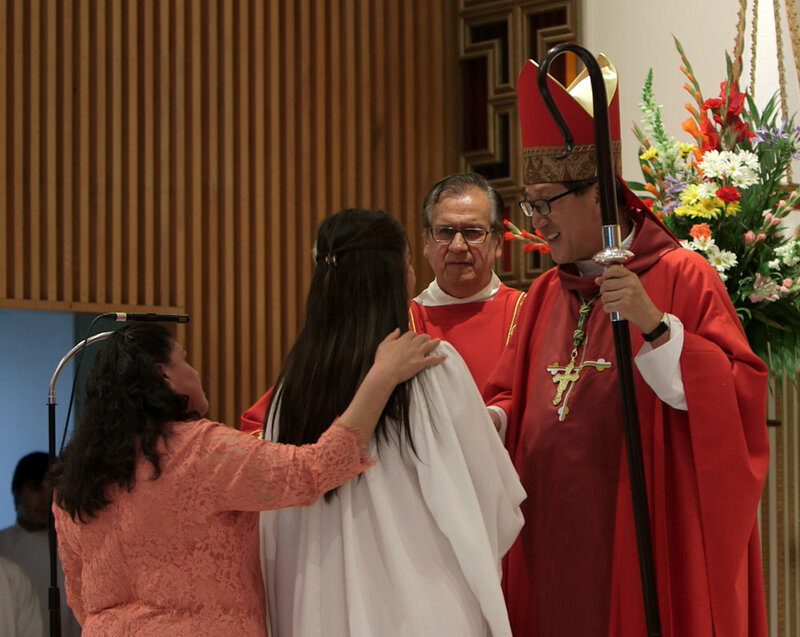 This year the Diocese celebrated the arrival of a new Bishop, The Most Reverend Oscar A. Solis. As a subject for this year's video, I focused on the Cathedral's role as the "Mother Church" for the Catholic Diocese of Salt Lake City and the greater Utah community. 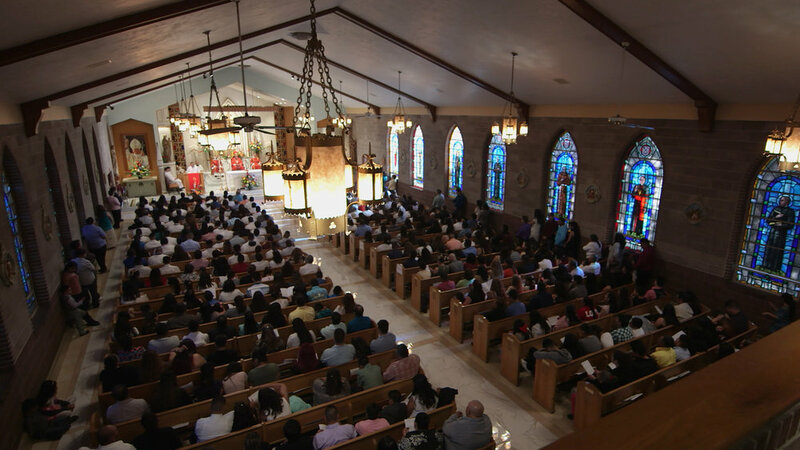 During production, I had the opportunity to travel with Bishop Solis to two Catholic Parishes, one in Salt Lake City and another in St. George, Utah. It was a joy to watch the Bishop interact with parishioners! Before celebrating a confirmation mass for teenagers at Sacred Heart Catholic Church, the Bishop asked if the youth knew the rules during the Mass. Several teens shouted "Don't be on your cell phone!" The Bishop replied, "Yes, that would be nice, but the most important rule is don't fall asleep! And if you do fall asleep, don't snore." He has a fun sense of humor that the Parishioners enjoy. Here is a clip from this year's Bishop's Dinner video that shows the Bishop's travels along with a few images of the Bishop's visit to Sacred Heart Catholic Church. Sacred Heart Catholic Church located in Salt Lake City, Utah. Bishop Solis met with youth prior to celebrating the Confirmation Mass. I spent the last two weeks in Freetown, Sierra Leone and Accra, Ghana capturing stories for Mormon Newsroom. The first story covered the community open house for the new Ghana Missionary Training Center. The new building can accommodate up to 320 missionaries who will be serving in west Africa. The Missionary Training Center sits on the same campus as the Ghana Temple, Accra Stake Center and West Africa Area offices. The mayor of Accra commented that this campus is one of the most well kept areas in the city. The second story covered a "Face to Face" broadcast in which teenage youth were given the opportunity to ask questions to an Apostle from the Church of Jesus Christ of Latter-day Saints. Elder and Sister Renlund answered questions on two broadcasts, one in English and a second in French. The broadcast was recorded in the cafeteria of the new Missionary Training Center. Youth from Ghana and neighboring countries traveled up to twelve hours by bus to attend the broadcast in person. Two hosts presented youth submitted questions to Elder and Sister Renlund. Next week I have several documentary shorts that will be featured in an art exhibit held at the Union Station Museum in Ogden, Utah. The exhibit, called "Eyes Toward the Past," features twenty paintings that were commissioned forty years ago for the United States bi-centennial celebration. The paintings showcase imagery of events in the history of Northern Utah. The exhibit runs from July 24th to the 28th. Here are a two of the paintings that will be featured along with their accompanying short documentaries. Last week I returned from a trip to Ecuador and the Galapagos Islands. I spent a week researching, gathering interviews, and filming b-roll concerning a piece of environmental legislation that was passed in Ecuador several years ago. "The Right of Nature" is a legal concept similar to the Endangered Species Act, but focuses more broadly on entire ecosystems. Since its adoption in Ecuador, the concept has spread to Europe, North America and the South Pacific. I'll be working with Hal Crimmel (Chair of the English Department at Weber State University) and Dr. Valeria Berros (A professor of law at the University of Littoral, Argentina and a researcher at CONICET) to create a documentary on the "The Rights of Nature" this coming year. Here are a few of the people we were able to meet and interview on our trip to Ecuador. Arturo Izurieta is head of the Charles Darwin Foundation Research Center on the Galapagos Islands. Izurieta did his doctoral thesis on the threats faced by indigenous peoples in Australia and gave us insight into why "The Right of Nature" legistlation started in Ecuador based on the needs of their indigenous population. This interview is shot on a patio outside Izurieta's Galapagos Islands office. Nice view! Alberto Acosta is the former head of of the Ecuador Constitutional Assembly and was a key figure in bringing forth "The Right of Nature" legislation. His role would be comparable to the United States Speaker of the House. Valeria Berros is a professor of law at the University of Littoral and a researcher at The National Scientific and Technical Research Council (CONICET) of Argentina. She has been researching the impacts of "The Right of Nature" legislation for several years and was recently awarded a fellowship at the Rachel Carson Center for Environment and Society in Munich, Germany. In February I was asked by the Telitha E. Lindquist College to produce a documentary style video for their Spring Graduation. The College selected seven students, one from each of their departments, to be included in the video. We interviewed the students and captured b-roll of each in their field of study. 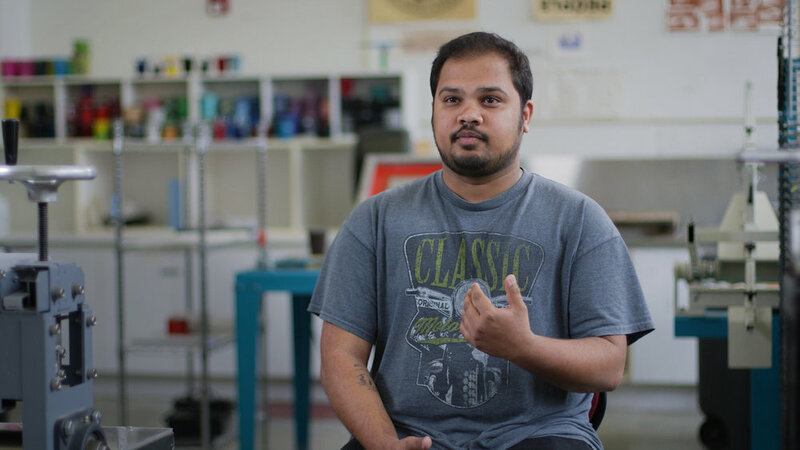 I particularly enjoyed recording Aman, a photography major from India who is experimenting using screen printing to reproduce his photographs. Here is a link to the video and few stills from the video.